Is IBM trying to kill competition? Its been a long-standing debate, if Internation Business Machines(IBM) has survived, simply because of the lack of competition. 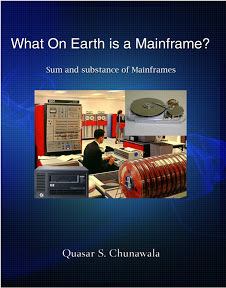 High cost of Mainframe computers, geeky unfriendly and old to work with, are deterrent factors for the bigblue. In the 90's IBM failed to ride the new wave of the home desktop PC, and Microsoft took the competitive advantage. The battle between Microsoft and IBM still wages on. A mushroom company Platform Solutions, developed software that mimicked IBM Mainframes on standard servers, Big Blue tried to fight back, but in vain. Finally, they simply tried to acquire the company for $150 million in July this year. After that, Platform Solutions is nowhere to be seen, vanished in thin air. IBM still faces stiff competition from Biggies like Microsoft and Google. T3 Technologies, a reseller of Platform's products, has filed a complaint against them to the regulators in European Commission. IBM is now negotiating to buy Sun Microsystems for $7 billion. We can only keep our fingers crossed. IBM has always charged astronomical prices for its so-called 'innovative' products. Its surprising, that amount of Mainframe processing power sold every year is declining.